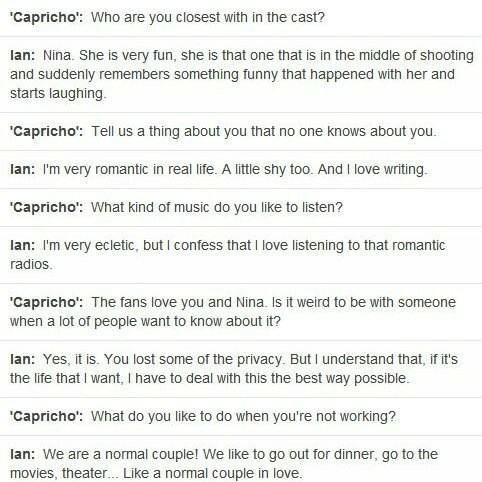 Ian's interview in Brazil. I don''t know if this is real or not but it's really cute if it is. Wallpaper and background images in the Ian Somerhalder and Nina Dobrev club. Oh okay, thanks. I was not sure he seemed a little open about him and Nina's relationship. he may have not actually said it but we all know it's what he actually truely feels and thinks! !